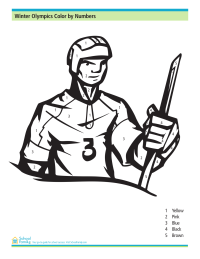 Practice reading numbers and colors with this Olympics-themed color by numbers worksheet showing a hockey player. 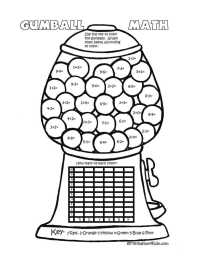 Complete the simple addition math problems and then use the grid to tell you which color each gumball should be. 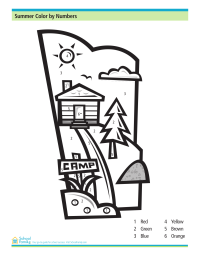 Provided by Printables4Kids. 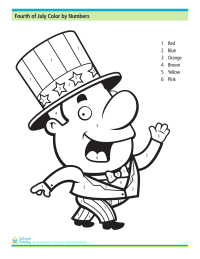 Use this 4th of July-themed color by numbers sheet to practice learning numbers and colors. 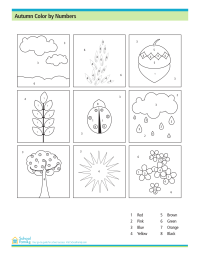 Celebrate summer with this color by numbers worksheet.